Today we meet Tiff Milner who is the writer/ director of Le Monocle. 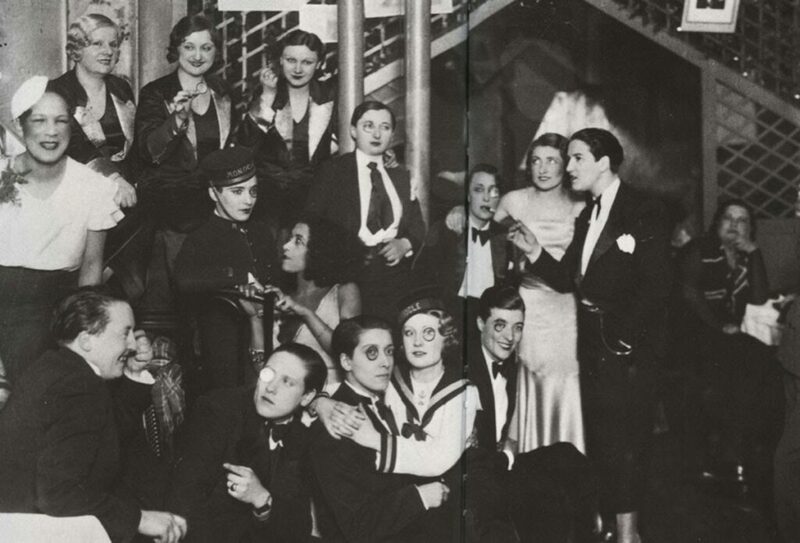 Le Monocle follows the story of Francine as she discovers the eponymous lesbian bar of pre-war Paris. Her story is interwoven with that of Violette Morris, an acclaimed athlete-turned-Nazi SS agent, and the LGBTQ+ community of 20th-century Paris. Le Monocle is showing at theSpace @Surgeons Hall at 19:20 from 2nd to 9th August. Tickets available from the Fringe Box Office. Can you introduce yourselves and your show? Hi! My name is Tiff Milner and I’m the writer/director. 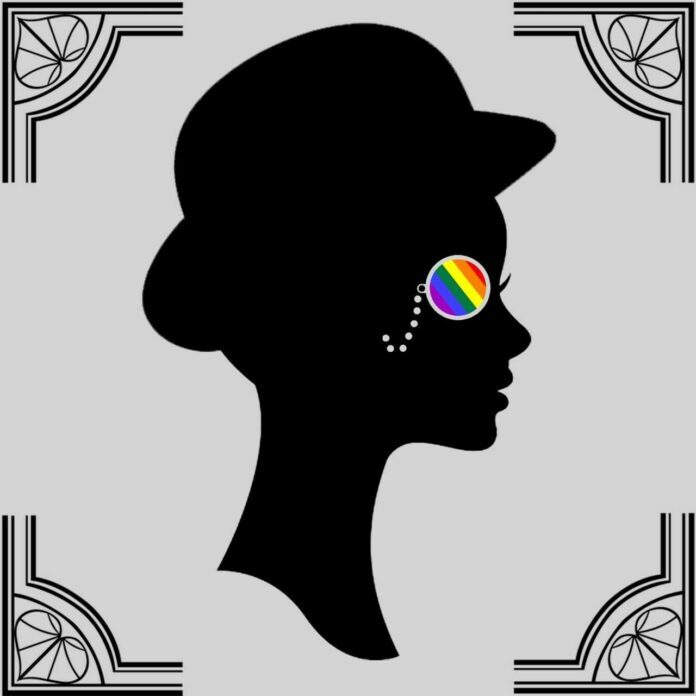 Le Monocle is a brand new play about the Parisian LGBTQ+ scene from 1922 – 1947. 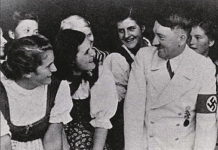 I discovered the story of a lesbian bar named le Monocle while reading, and it intertwined with the life of a famous athlete named Violette Morris, who had a fascinating life which ended horrifyingly in her becoming an SS agent for the Nazi regime in WWII. So we tell that history with the story of the bar and the lesbian community. What is the top reason people should see the show? We hope you’ll fall in love with this little bar as much as we have! In all seriousness, as much as this is a historical story, it’s also relevant today. It’s so easy to get angry at all the things going on around us, but Le Monocle is about compassion and community, and how that in itself can be bravery in the face of prejudice. It’s also a really fun show, with a hell of a lot of heart, and a fantastic cast and crew! They amaze me every single day I work with them. What does a ‘successful Fringe run’ mean to you? My favourite moment is when the lights go down in the theatre and we get to take people on a journey with a lively bunch of characters, so success to me is giving every audience member a great show every night. I hope people come away knowing something they never knew before, and are touched by the story of these women. I hope it spreads a little bit of warmth and strength! This is your first time at the Fringe. What is the worst rumour you have heard about performing in Edinburgh? Oh gosh, you hear all kinds of things! “No-one will show up”, “It’ll cost you your first-born”, “Venue managers are vampires!” – you hear quite literally everything! The amount of paper waste that is rumoured to go on at Fringe is pretty scary, so we’re trying to cut down on that a bit. Your show is the story of a lesbian bar in Paris. Having just read about Le Monocle, it really has a fascinating tale to tell and even plays a key role in the history of France. What surprised you most about the story of the bar? So many things surprised me! When I was researching, every new discovery felt like something I should have been taught about before and it had never even been mentioned. Violette Morris was a bisexual woman who was key to the invasion of Paris in 1940 – how was I never told this when I studied WWII in school?! These stories often go untold, so it felt like learning something hidden. One of my favourite little facts was that lesbians would signify their sexuality by wearing a monocle – hence the name! What message do you hope audiences will take away from your show? I hope that they take away a little bit of kindness, and that we show that between the decision to act in anger or to be compassionate in the face of prejudice, banding together and caring for your community is the bravest thing you can do. How are you promoting your show in the run up to the Fringe? To hand out flyers on the Royal Mile or not to hand out flyers? What’s your top tip to create a buzz once in Edinburgh? We want to keep paper waste to a minimum, so we won’t be going crazy with the flyers! We want to support other shows too, especially female led and LGBTQ+ shows, and you’ll absolutely find us talking about the show in Edinburgh’s gay bars! Where is your favourite Edinburgh hang out when you are not on stage? The gay bars, of course, will be a hang-out spot for us, there’s some really good ones up in Edinburgh. But one of my cast members, a Fringe regular, has recommended Oink! which has the biggest hog roast sandwiches she’s ever seen, so I’m counting down the days for that! Lastly do you want to tell us where and when we can see the show? You can see Le Monocle at The Haldane Theatre, at TheSpace @ Surgeons Hall, from Aug 2-9, at 7:20pm. We’re really looking forward to seeing you all there and meeting you, and if you spot us on the Mile, please do come and say hi! Thanks Tiff and we wish you the very best for Edinburgh! For tips about visiting Edinburgh as an LGBT tourist, see our guide. 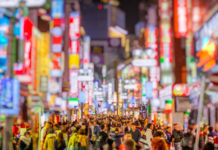 Tiff and others interested in the environmental impacts of flyering might also be interested in reading an article on the EFC from environmental journalist Matt Turner – ‘Flyering at the Fringe – a waste of paper?‘.